It's a Friday Flashback kind of day! I've chosen an entry from my previous blog...Margaret's Musing..and posted it here. Enjoy! · That I must be getting old growing up because I don’t have to buy something every time my little heart desires it. · That I have very good taste in purses because every one I liked at TJ Maxx’s today was over $100.00, except for the one on sale for $99. · That a single pack of drink mix is too much for a small cup of water from Taco Bell. · That the people hostilely yelling about being disrespected are the ones who’ve done very little to earn respect, and respect others even less. · That many of these folks are people who must, often times, make appearances in the criminal court system. · That the older I get, the more I realize how unimportant things I let annoy me are, like some lawbreaker yelling that they have been disrespected. · That there is a very merciful God in Heaven; and whether or not you believe that does not negate His existence. · That America’s Christians need to open their eyes, pray and seek divine guidance, and vote accordingly in the next election, and the next presidential election, as well. · That it’s time for true believers to step up and speak God’s truth, and not back down and apologize when “the world” disagrees. · I don’t like to be touched by others unless I have emotional or family ties, and sometimes not even then. I cringe when the preacher says “shake hands” and I cringe even more when he says “hug your neighbor.” I’m perfectly OK with a smile and a wave. 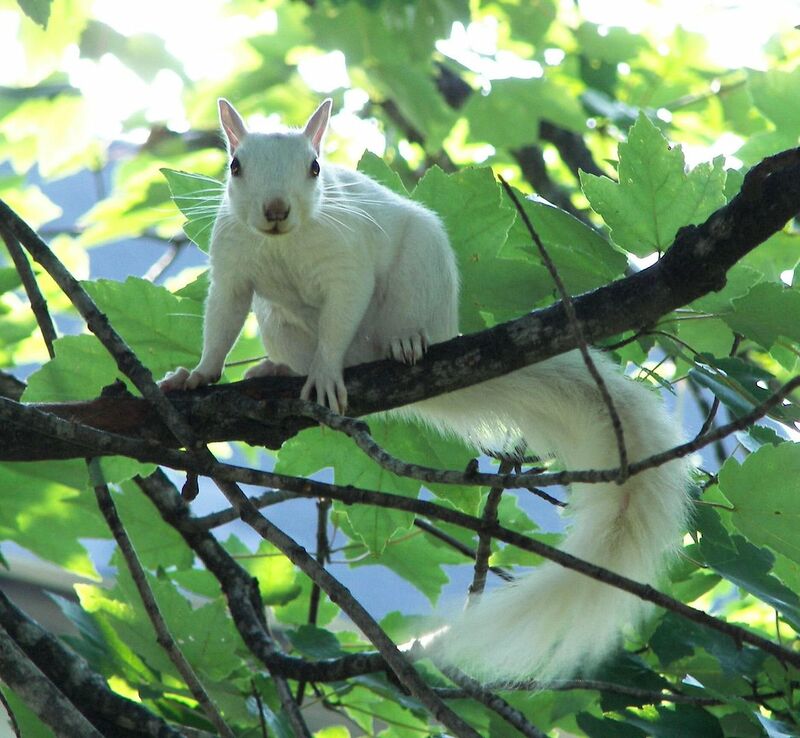 I like squirrels...and these white ones are the cutest! Yes, I know they are destructive little boogers...but they are just doing what they do. How could you not love a face like that? The glowing eyes are a little scary in this photo. I love that squirrel! Well, I love all squirrels...okay, I love critters! This post made a lot of sense. I am right there with you. 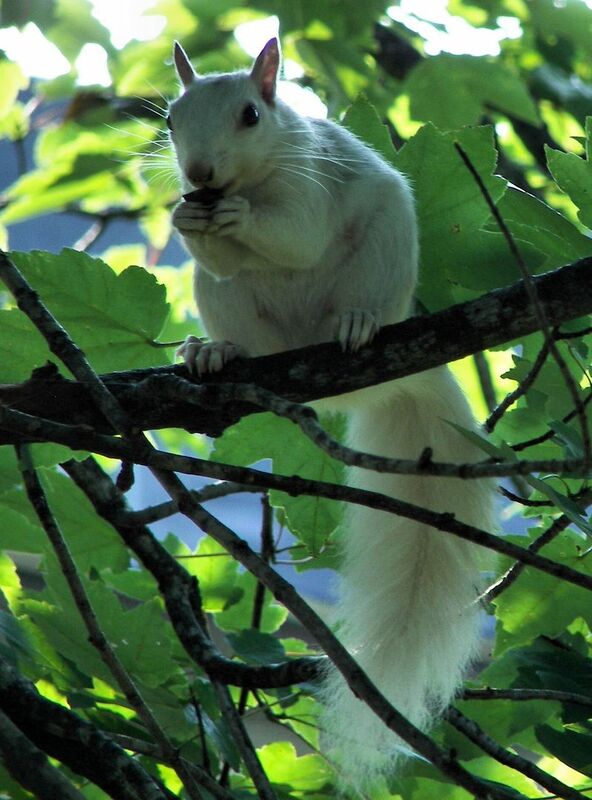 Love the white squirrels. Were you calling my life a train wreck...cause it really was for awhile but has calmed down, some...lol... Just teasing you. I am in agreement with everything you believe. 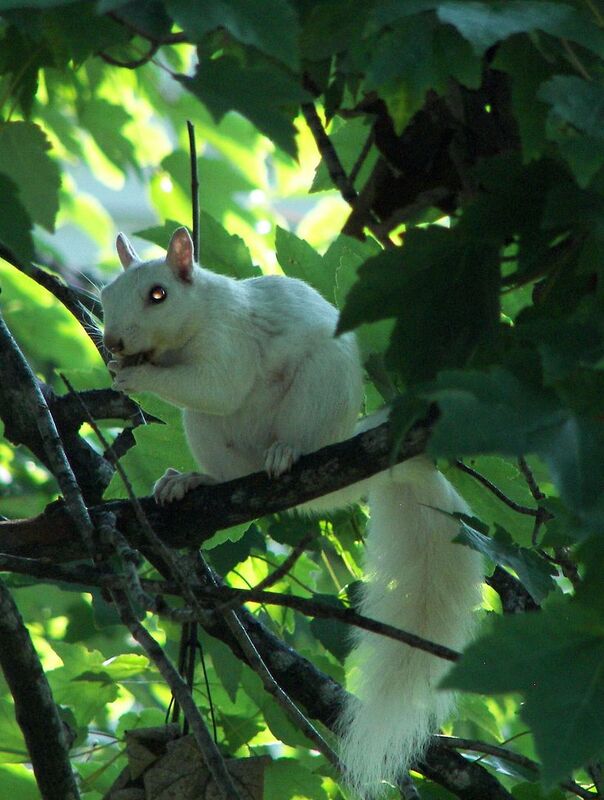 I've never seen a white squirrel before. I don't think you are alone in detesting in others the things you don't like about yourself. And yeah, we all need to be working on that!